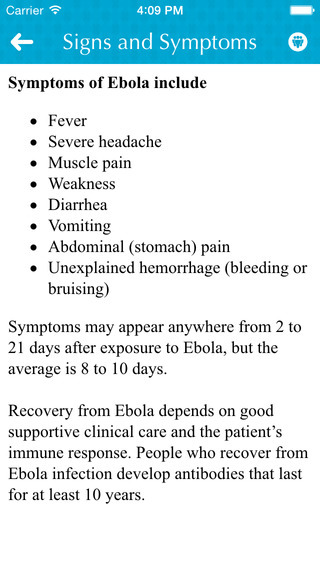 Ebola Outbreak News is a must-have for people who are looking for information about the Ebola epidemic. 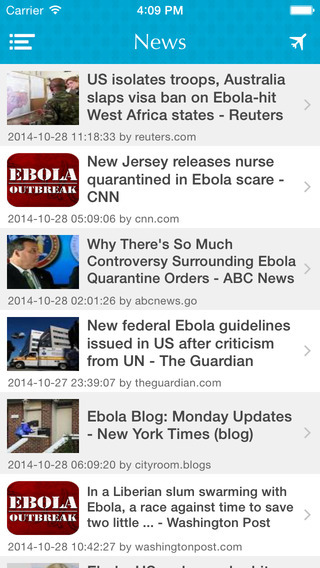 This useful app helps you keep up-to-date with the latest news related to the Ebola outbreak. Here you can find all the information you need to know about the Ebola virus including Signs and Symptoms, Transmission, Prevention and Treatment. The app also provides a map showing affected areas, information about new cases and death in each period of time. · Supports multiple article views: Readability Optimized/Original Web View. Information is crucial to stopping Ebola's spread. INSTALL Ebola Outbreak News now and help prevent the virus from spreading.